JoeCo Limited. Manufacturer of the Blackbox Recorder, Blackbox Player and the new Bluebox range. The Blackbox offer a professional solution to record/replay of multichannel audio without using a computer. JoeCo innovation continues. 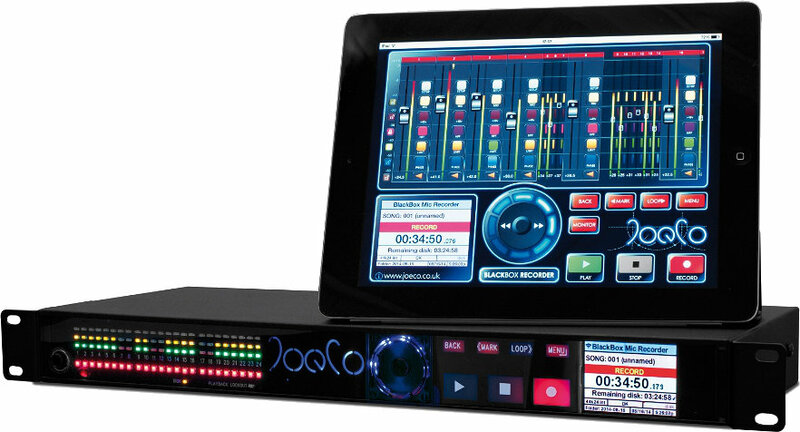 The BlueBox include audio interface capability with full redundancy recording to the JoeCo and a computer at the same time. These Recorders are successfully used in live performance, broadcast, film and TV sound and post production. JoeCo products can interface with analog, MADI, Dante, AES and ADAT. The popular Player is designed for replaying backing tracks and multiple surround stems for live shows and themed entertainment. Multiple units can be linked for large track counts and market leading full redundancy backup for live applications.